I have travelled here todayto demonstrate my solidarity with Judge Wendell Griffen, and to speak in defense of religious freedom. 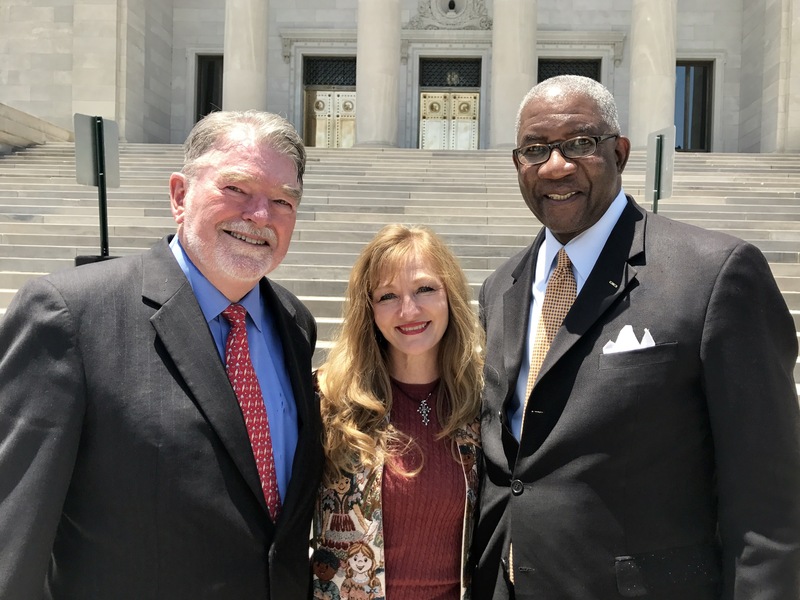 The full complement of Arkansas state government (executive, legislative, judicial) is arrayed against Judge Griffen to punish him for exercising the basic fundamental right which all Americans enjoy….the First Amendment right of the FREE EXERCISE OF RELIGION. This should be shocking to all Americans. 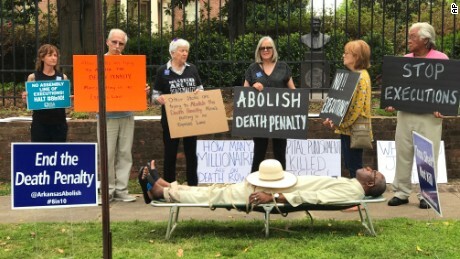 Many in Arkansas’ government are challenging a judge who, on one of the holiest days, if not the holiest day, in the Christian calendar, Good Friday, dramatically demonstrated the seminal miscarriage of justice in the Christian experience—that being the unjust execution of Jesus Christ by means of crucifixion. He did so, exercising his right to express his religious conviction in a nonverbal, moving way. Now, the most radical politicians tell me and all of us assembled here today, that Judge Griffen should be punished, deprived of his duly elected judgeship, disgraced, cast aside. Something is seriously amiss in Arkansas’ government. The absurd allegation from the State’s Attorney General, that Judge Griffen’s religious expressions have rendered him incapable of fulfilling his duties as an impartial judge in matters related to capital punishment in Arkansas is clearly false, and anyone taking time to examine Judge Griffen’s professional record in jurisprudence would arrive at that conclusion. The pretext cited by politicians to punish this exemplary judge, is Judge Griffen’s decision in the case McKesson Medical-Surgical, Inc. vs. State of Arkansas. In that well-reasoned decision, Judge Griffen granted a temporary restraining order for the use of fraudulently obtained property by the Arkansas Department of Corrections from McKesson. That ruling follows well-established Arkansas law. There is no disputing Judge Griffen’s legal reasoning, no erroneous use of discretion or judicial decision-making. The elected judges, legislators, and executives who say the opposite are wrong and misstate the facts in the case. The only true reasons for these personal and professional attacks against Judge Griffen can be traced to animus arising from those in Arkansas who disagree with and strongly oppose Judge Griffen’s understanding of, adherence to, and expressions of the teachings of Jesus Christ. That is wrong. I proudly stand with Judge Griffen, my brother, friend and colleague.